Why Buy a House in Miami, FL? If you love the nightlife, beaches, and warm weather, Miami may just be the city for you. It is one of the nation’s leading areas for art, culture, commerce, and finance along with other trades. Though the city itself has only 413,892 residents, the larger metro area has over 4 million making it one of the most populated areas in the country. Miami sits between the Everglades and Biscayne Bay with the Gulf Stream just a few miles away. Due to this, it stays warm and mild year round, generally in the 70s and 80s. This means it is perfect beach weather virtually every day and a reason in itself to buy a house in Miami, FL. 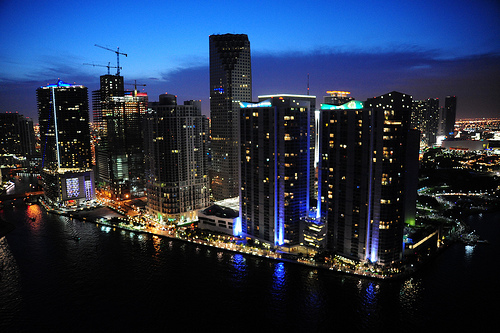 Why Buy a Home in Miami? "Quite frankly, I don’t know why anyone would do anything EXCEPT list with your service. I had incredible support throughout this whole process. Free public website advertising and listed on the MLS ! You are the best."